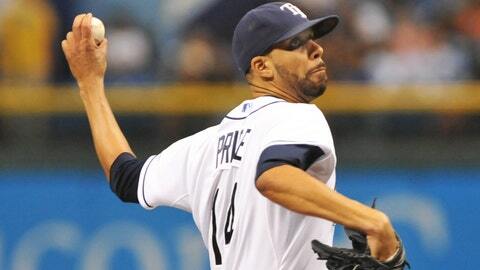 Rosenthal: Can Rays contend if they deal David Price? David Price's days with the Tampa Bay Rays might be numbered. If the Rays stunk, this would be easy. They would trade left-hander David Price to the team that offered the best package of prospects, and that would be that. Thing is, the Rays don’t stink, just as they didn’t stink a year ago, when they traded righty James Shields to the Royals. Quite the contrary – the Rays will be trying to make the playoffs for the fifth time in the past seven seasons, and that only complicates their decision on Price. The Rays will not and cannot quit on 2014. So, if they trade Price, they’re going to want the same type of major-league ready talent they got for Shields, if not better. Two of the four players that they acquired for Shields, outfielder Wil Myers and right-hander Jake Ordorizzi, contributed in the majors last season – and Myers won AL Rookie of the Year. Knowing the Rays, they will be flexible – if their best deal is prospect-driven, then that is the deal they will make. Indeed, their price points almost certainly vary from suitor to suitor, depending upon what each team could offer. Acquiring "now" players would be the Rays’ preference, enabling them to gain back some of the short-term value they would lose by trading Price. The right fit, though, could prove elusive, considering that Price is even more accomplished than Shields. The Rays could always keep Price, then entertain offers for him again at the July 31 non-waiver deadline, when he still would be available for two pennant races to any team that obtains him. But they would run the risk of Price getting injured or performing below his usual standards in the first half, lowering his value. The Price talks figure to accelerate once teams know whether Japanese right-hander Masahiro Tanaka will be available. But the Rays already are speaking with a number of clubs, including the Mariners. And the intentions of other teams are not entirely clear. The Dodgers, for example, have talked for a while now about renewing their emphasis on scouting and player development and keeping their top prospects. But general manager Ned Colletti, when asked in a recent radio interview about the possibility of acquiring an elite starting pitcher, didn’t exactly dismiss the idea. "I think there’s some chance to that. 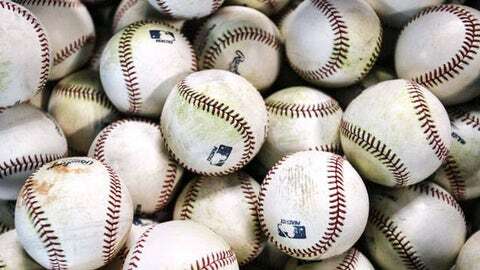 There are a lot of dynamics that we’re not aware of yet," Colletti said, according to ESPN’s Mark Saxon. "We’ll see. Any time we see a player that we think can help our club, we make an inroad to find out what the rest of the dynamics are." Shifting dynamics already might have taken the Diamondbacks out of the running for Price. The D-Backs over the past 17 days have traded four of their top six prospects from 2013, according to Baseball America. Other teams might not have the right combination of talent – while it stands to reason that the Rays would want pitching back for Price, they surely also are likely to insist upon top position players, knowing that hitters offer great certainty. If the Rays stunk, their goal would be to assemble as much talent as possible. Thing is, they don’t stink. They need to be strategic. They need to thread the needle. They need to keep their good thing going. The Yankees gladly would blow past the $189 million luxury-tax threshold if they could add Japanese right-hander Masahiro Tanaka. But would they be willing to make the same move with a free-agent pitcher such as righty Bronson Arroyo? In other words, he would be a sensible short-term fit for the Yankees, who are not currently inclined to extend themselves for any of the other top free-agent righties – Ervin Santana, Ubaldo Jimenez and Matt Garza. Sensible, that is, if there were no larger implications. The Yankees, as noted by the New York Post’s luxury-tax meter, are in serious danger of crossing the threshold and blowing their chance to save tens of millions. The addition of Tanaka would put the Yankees over the threshold even if third baseman Alex Rodriguez was suspended for the entire season, eliminating his $27.5 million salary from the calculation. Without A-Rod, the Yankees currently are at about $182 million – and they still need another starting pitcher, a third baseman and a reliever. They could make a trade or two to increase their flexibility, but probably not enough to add Arroyo. The other option, of course, is for the Yankees to forget the threshold entirely and go for broke – if they’re going to be about $190 million, then they might as well be at $220 million. Then again, such a decision would raise legitimate questions about the way the Yankees have operated since last offseason, passing on a number of players with the goal of getting under the threshold for 2014. What, one might ask, was the point? Speaking of the Yankees, if they love outfielder Brett Gardner so much, then they should sign him long-term. Luxury-tax considerations likely are an obstacle, but Gardner is at a pivotal stage of his career, entering his final year of arbitration before reaching free agency. MLBTradeRumors.com projects that Gardner will earn $4 million in arbitration. Union officials, however, believe that the number will be considerably higher. Michael Bourn earned $6.845 million when he had the same amount of service, and Gardner’s career on-base and slugging percentages are higher than Bourn’s were at that point. Bourn was a more prolific base stealer, but Gardner’s defense is at least as good. The Yankees still could trade Gardner for the right pitcher. But if they exceed the luxury-tax threshold and resume spending more freely, perhaps they will be motivated to give him an extension. One problem: The Yankees just awarded free-agent outfielder Jacoby Ellsbury a seven-year, $153 million contract. Ellsbury is more accomplished than Gardner, but the difference between them is not all that great. Ellsbury had a 114 OPS-plus last season, while Gardner was at 108. The average is set to 100. * Might the Mariners re-sign free agent Kendrys Morales? It obviously depends upon whether ownership is willing to keep spending, an issue I addressed in Thursday’s column. Morales possesses one obvious advantage over free agent Nelson Cruz – he is a switch-hitter, while Cruz bats right-handed. The M’s also could bring back Morales without losing a draft pick, though they could sign Cruz and achieve the same effect; they would sacrifice a pick for adding Cruz, gain one for losing Morales. The Mariners already are clogged with first base-DH types, but they could trade first baseman Justin Smoak and rotate Morales with Corey Hart and Logan Morrison in the first base and DH spots; they plan to use Hart and Morrison in the outfield as well. * While the Orioles’ signing of free-agent reliever Grant Balfour appears in jeopardy, one AL manager applauded their acquisition of outfielder David Lough from the Royals for third baseman Danny Valencia. Lough, who turns 28 on Jan. 20, will replace Nate McLouth, who signed a two-year, $10.75 million free-agent contract with the Nationals.